The travel to Japan guide book in this article may help a lot if you have a plan to spend time in Japan. It is important to check out things before the holiday to be prepared and know what to expect. The first thing you need to check the time. Japan uses the JST or Japanese Standard Time and there is no Daylight Saving Time. Japan uses one-time zone from the north across the south and from the GMT it is 9 hours ahead according to the travel to Japan guide book. There are four distinct seasons in Japan. Spring runs from March to May while summer happens from June to August. Fall starts from September and ends in November. Meanwhile, winter is from December to February. However, the temperature and climate may be varied according to the area. Other than that, each season may offer different sightseeing spots and attractions. You also need to check the Japanese local calendar. There are 16 public holidays all year round and it makes the tourist attraction spots get crowded on those days. There is a Golden Week in May (a long weekend) and Obon in the mid-August. It is the busiest day and you may reconsider your holiday trip. Having a pocket Wi-Fi when you are traveling to Japan would help you a lot. Of course, there is free public Wi-Fi in several spots but you cannot connect it everywhere you go. Also, the language barrier might be the biggest challenge especially when you visit the countryside. Do not worry because there are a few reliable companies that offer rental pocket Wi-Fi with affordable price. It is better to book it in advance. If your holiday or trip will make you visit several cities in Japan then you will need to get the Japan Rail Pass. You can only purchase it outside of Japan. So, you need to make an order before coming to the country. The rail pass is exclusively made for the foreigners and you can travel by using any JR lines across the country. It may include the bullet trains as well. However, if you only visit Tokyo then you do not need this item. According to people who had traveled to Japan, exchanging your money in Japan will cost a higher rate compared if you make the exchange in other countries. Other than that, it seems like there are not many counters for exchange on the street. So, we highly recommend you to get your Yen before you go to Japan. Using a credit card will help you a lot for sure. Japan has a unique culture and you may find it a bit difficult to understand yet very valuable and interesting. So, if you are visiting Japan and stay for a couple of days then you need to try their cultural activities. 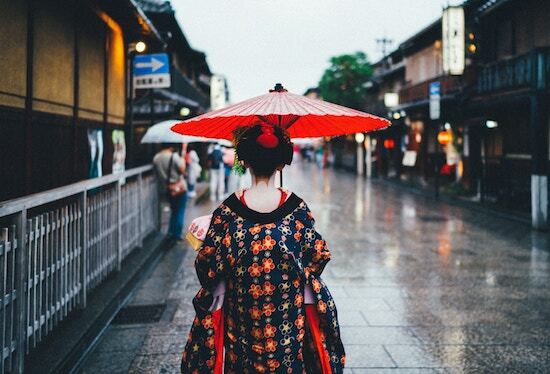 The most fun activities include samurai training, tea ceremonies, and kimono. You cannot miss this opportunity since those things are only available in Japan according to travel to Japan guide book.